Join us on Sunday, April 21st at 9am or 11am, as we celebrate Easter at Indian Creek! This is a service the entire family will enjoy with powerful worship, an inspiring message from Pastor Jake, and a unique Easter experience for kids. After each service, we’ll have the Easter Egg Factory; where each kid will walk away with some free treats and fun family memories. Children 5th grade and under are invited to experience The Egg Factory on Easter Sunday, April 21st. We'll be having special Easter Sunday Services at 9am and 11am. 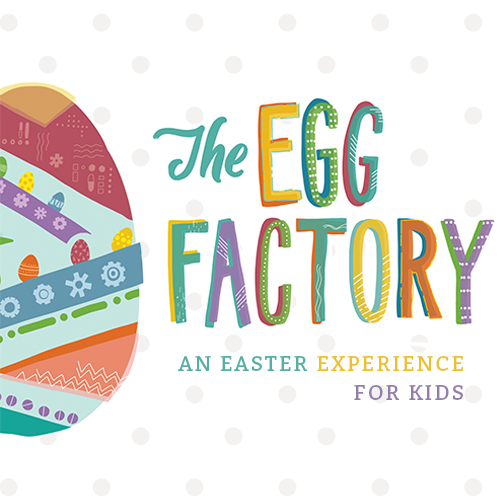 After each service, children can head over to the Easter Egg Factory in the North Auditorium where they'll be able to see first-hand how Easter eggs are made, enjoy fun, interactive games and leave with some goodie-filled Easter eggs of their very own! 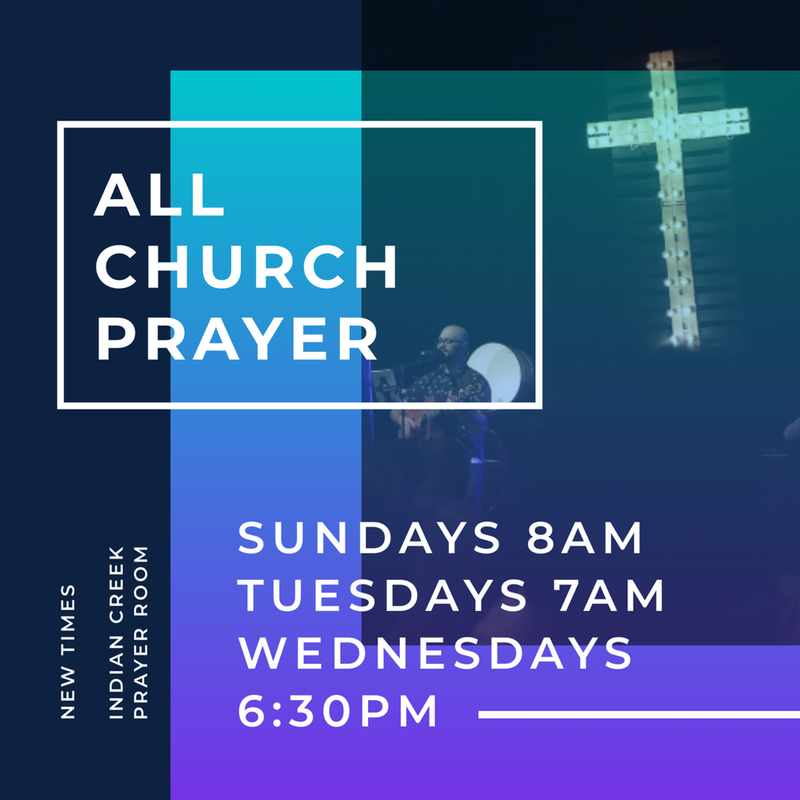 Our prayer gathering is a set time for our community to join together in prayer over prayer requests and needs present in our church, city and world, and most importantly, connect to God's heart. Join us every Tuesday at 7:00am in the Prayer room. Our prayer gathering is a set time for our community to join together in prayer over prayer requests and needs present in our church, city and world, and most importantly, connect to God's heart. Join us every Wednesday at 6:30pm in the Prayer room. New to Indian Creek? 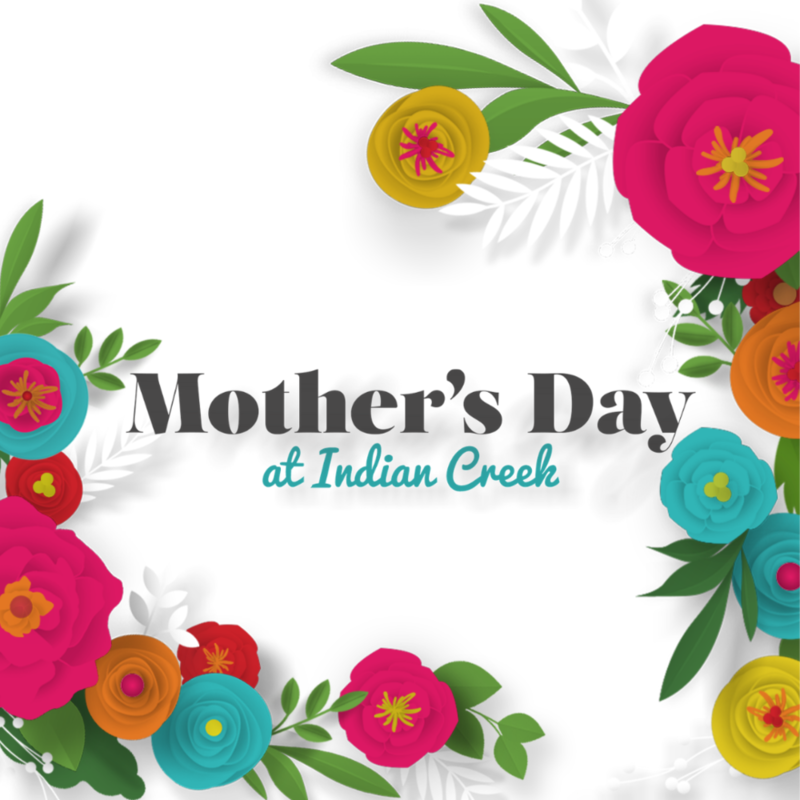 You’re invited to join us for "Intro to Indian Creek" on Sunday, April 28th directly after Sunday’s worship gathering. "Intro" is a chance to meet pastors and leaders, hear the vision, beliefs, and values of the church, and explore opportunities to get better connected. Our desire is to simply get to know you better, and answer the questions you may be asking. We love the story that God is writing through the people that call Indian Creek home and we know it will be better with you in it. 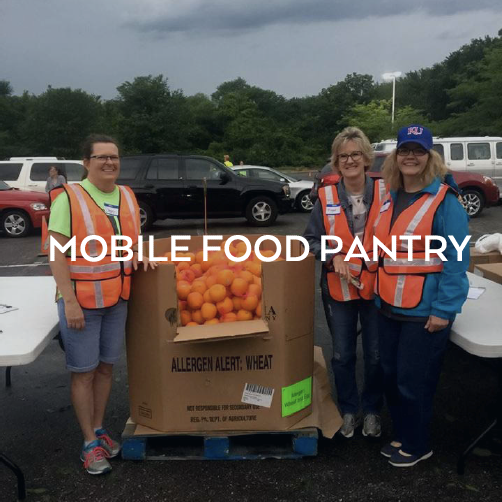 Open Arms holds a Mobile Food Pantry on the first Saturday of every month for families in need. Volunteers are needed to help with administration, directing traffic and distributing food. Sign up to volunteer on Saturday, May 4th at 6am until 9am. Distribution of food takes place in the back parking lot of Indian Creek Community Church. Bring your mom or the special woman in your life to church on Mother's Day, Sunday May 12th. There'll be a wonderful message from Sarah Zaske, photo booth fun and a gift for each woman! New to Indian Creek? 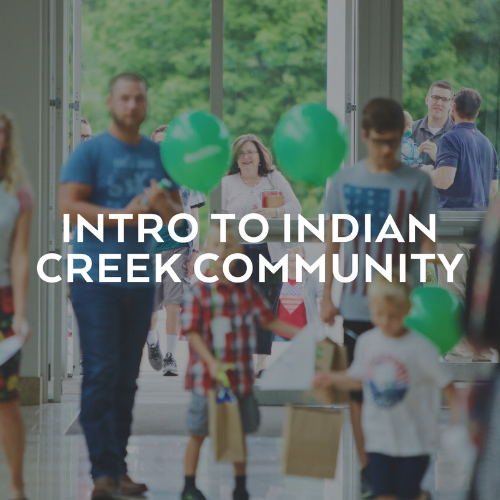 You’re invited to join us for "Intro to Indian Creek" on Sunday, May 19th directly after Sunday’s worship gathering. "Intro" is a chance to meet pastors and leaders, hear the vision, beliefs, and values of the church, and explore opportunities to get better connected. Our desire is to simply get to know you better, and answer the questions you may be asking. We love the story that God is writing through the people that call Indian Creek home and we know it will be better with you in it. Sign up to volunteer on Saturday, June 1st at 6am until 9am. Distribution of food takes place in the back parking lot of Indian Creek Community Church. Vacation Bible School is BACK this year, and NOW IS THE TIME to sign your child up for one of the highlights of the Summer! According to 2 Peter 1:3, "God's power has given us everything we need to live a godly life"…and we want our kids to know it! Get your child registered - while you're at it, be sure to invite your neighbors to register their children, too! - and then get ready for them to learn all about what it REALLY means to P-O-W-E-R U-P! Space is limited, so be sure to register right away. PLUS...the first 25 kids registered will receive a FREE Power Up-themed drawstring bag! New to Indian Creek? You’re invited to join us for "Intro to Indian Creek" on Sunday, June 23rd directly after Sunday’s worship gathering. "Intro" is a chance to meet pastors and leaders, hear the vision, beliefs, and values of the church, and explore opportunities to get better connected. Our desire is to simply get to know you better, and answer the questions you may be asking. We love the story that God is writing through the people that call Indian Creek home and we know it will be better with you in it. On Good Friday, we are reminded that we can only experience true joy, because we understand great sorrow. Join us on this day as we remember Christ's sacrifice and reflect on His great love for us at the Good Friday Tenebrae Service. A special Good Friday program will be available for children birth- 5th grade. Baptism is a public declaration of the inward acceptance of God’s grace working in our lives. 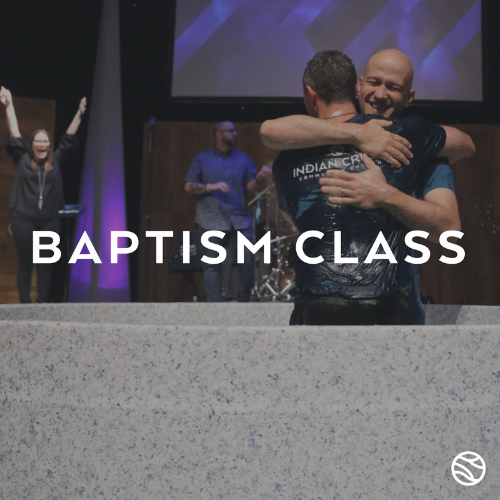 If you are interested in being baptized, have questions, or would like to learn more about what baptism means, register for our baptism class on Sunday, April 14th after the 10:30am gathering in the Welcome Lounge. Sign up to volunteer on Saturday, April 6th at 6am until 9am. Distribution of food takes place in the back parking lot of Indian Creek Community Church. Kindreds can be best described as a fill-your-soul-back-up kind of evening for women of all ages and life-stages. We will gather together for powerful worship, an inspiring message, and a fun time of fellowship. Invite your friends, moms, daughters, grandmothers, and sisters as we gather together and learn to believe in the more-than-you-can-dream-of type plans that God has in store for each of us. Please RSVP to let us know you are coming on Friday, March 29 at 7pm so we can prepare a place for you. We can’t wait to see you there! There are a limited number of childcare spaces available on an as-need basis. Pre-Registration is required. New to Indian Creek? You’re invited to join us for "Intro to Indian Creek" on Sunday, March 24th directly after Sunday’s worship gathering. "Intro" is a chance to meet pastors and leaders, hear the vision, beliefs, and values of the church, and explore opportunities to get better connected. Our desire is to simply get to know you better, and answer the questions you may be asking. We love the story that God is writing through the people that call Indian Creek home and we know it will be better with you in it. This Sunday we’ll have special guest speaker, AJ Sherrill with us. Join us at 9am or 10:30am. A gifted pastor, teacher, writer, and leader, AJ Sherrill has pastoral experience in diverse church settings across the nation. He is also the author of a number of books including Enneagram & The Way of Jesus: Intersecting Personality Theory with Spiritual Practices and Biblical Narratives (2016) and his most recent work Expansive: Reaching Beyond Superficial Christianity (2017). With a Doctorate from Fuller Theological Seminary, he currently resides in Grand Rapids, Michigan where he serves as the Lead Pastor of Mars Hill Bible Church. As a church community we believe that God never changes, but that when we worship Him, we do. When we spend time in the presence of God we experience the space of intimacy God created us for. It's in his presence where we align with his heart. Join us for our Worship Night on Sunday, February 17 at 6pm in the Lower Auditorium. New to Indian Creek? You’re invited to join us for "Intro to Indian Creek" on Sunday, February 17th directly after Sunday’s worship gathering. "Intro" is a chance to meet pastors and leaders, hear the vision, beliefs, and values of the church, and explore opportunities to get better connected. Our desire is to simply get to know you better, and answer the questions you may be asking. We love the story that God is writing through the people that call Indian Creek home and we know it will be better with you in it. We are excited to announce that beginning Sunday, February 3rd we'll be adding a 9am worship gathering that will be held in the Activity Center, in addition to our current 10:30am gathering held in the Main Auditorium. We look forward to seeing you at 9am or 10:30am starting in February. This Sunday we are hosting our annual partners meeting directly after the Sunday morning gathering in the Activity Center. We have made this time change fully conscious of the Chiefs playoff game that is scheduled for Sunday evening. We believe this change will give us every opportunity for maximum participation at our partners meeting. Our partners meeting is an opportunity for our church family to come together and acknowledge where we have been and where God is taking us in this next season. This is an opportunity to hear from our governance board, receive an annual report, and stay informed on upcoming happenings. This is a time reserved for those who call Indian Creek home and have identified themselves as such. Partners of Indian Creek are defined as individuals that have experienced freedom through salvation and baptism in Jesus Christ. They are people of Christian character that regularly participate in worship gatherings, our discipleship pathway through community groups / learning communities, and support the mission of the church through financial generosity and active service. If you are an ACTIVE Indian Creek partner by this definition or desire to become one, we invite you to join us this Sunday, January 20 at 12pm. There is no formal class or process that needs to be completed prior to this meeting. Childcare will be available for birth - 5th grade. We all want to be in the know, especially when it comes to our own lives. We want to know what we are supposed to do, when we are supposed to do it, and how it is supposed to get done. But its not that easy. Life is full of curveballs we didn’t see coming and it can leave us either confused or discouraged. Start your 2019 of by gaining wisdom and direction on how to make the decisions today that will give you a desirable future tomorrow. Begins Sunday, January 13.